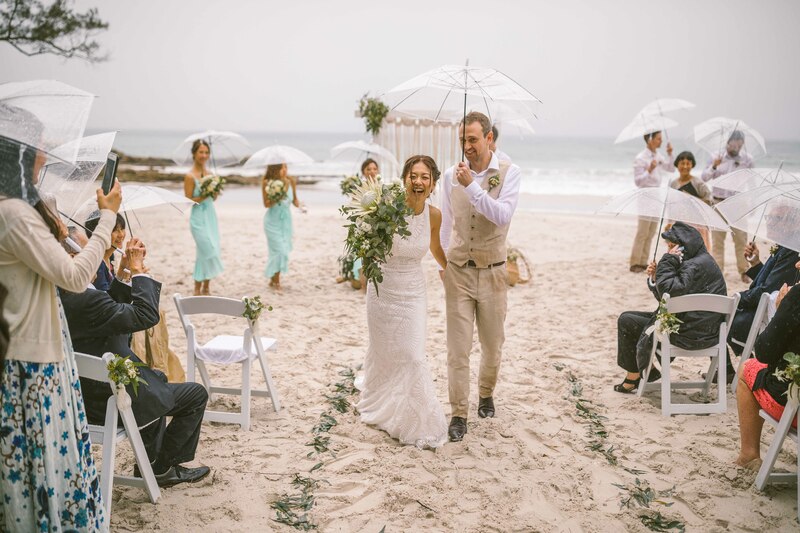 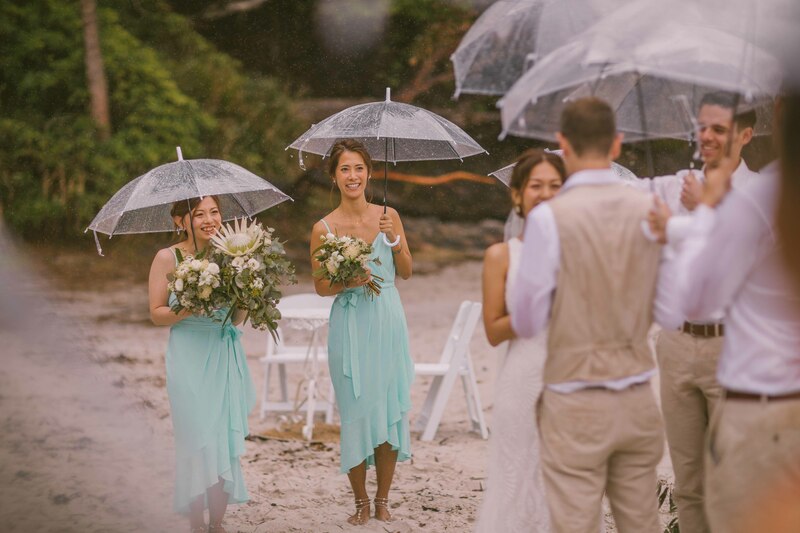 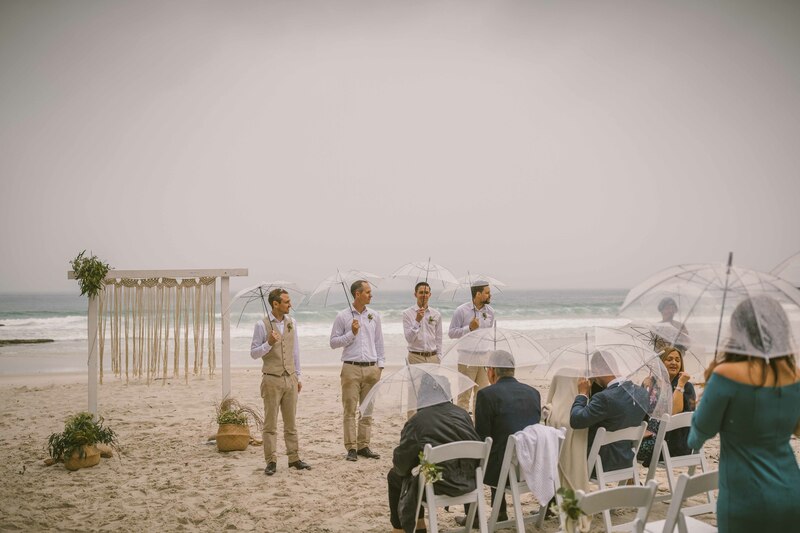 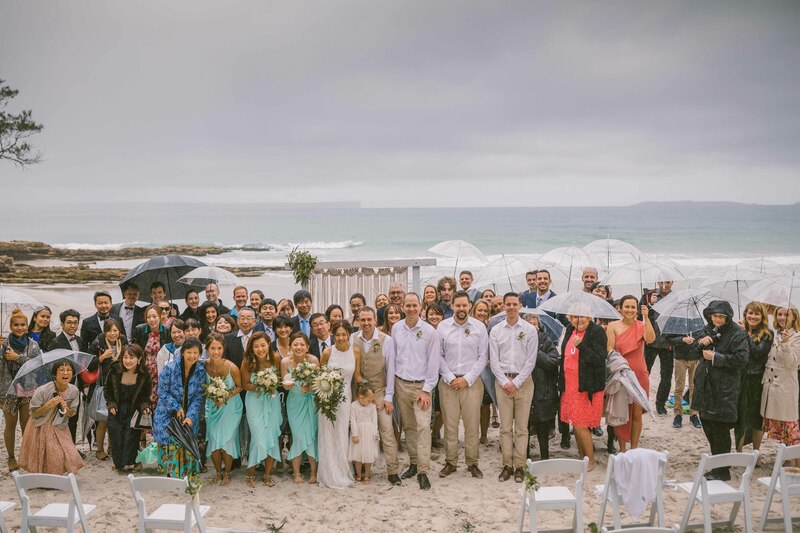 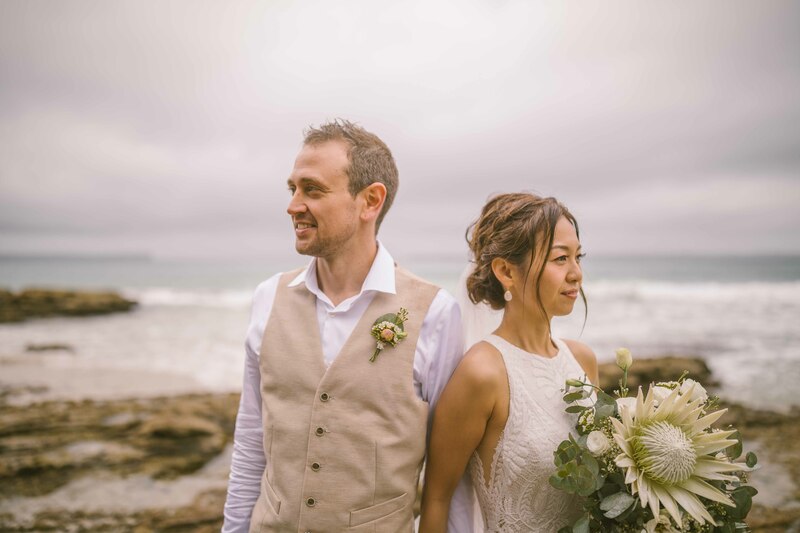 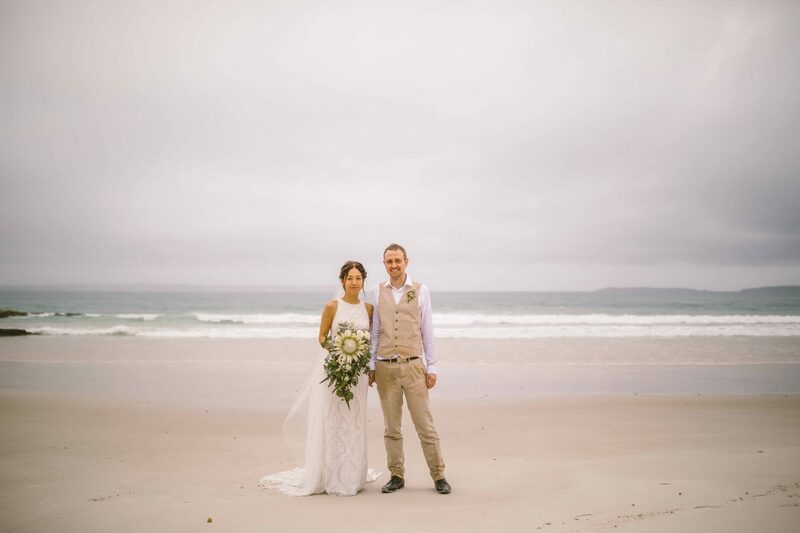 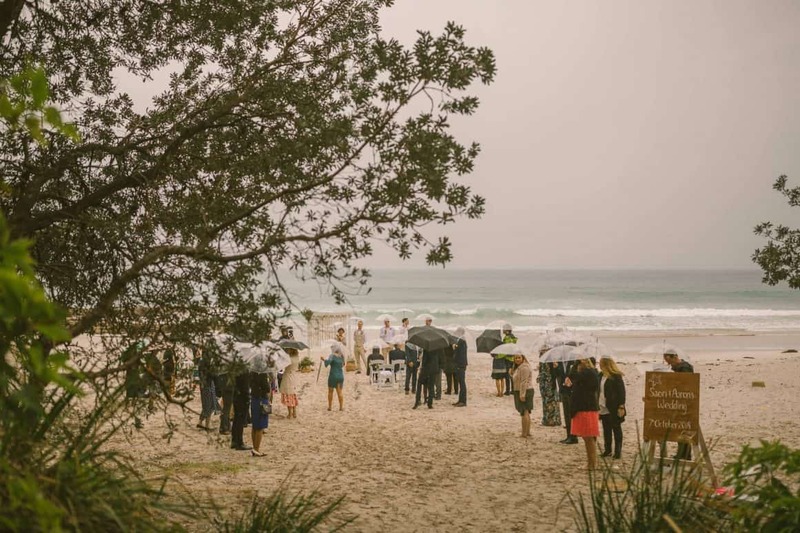 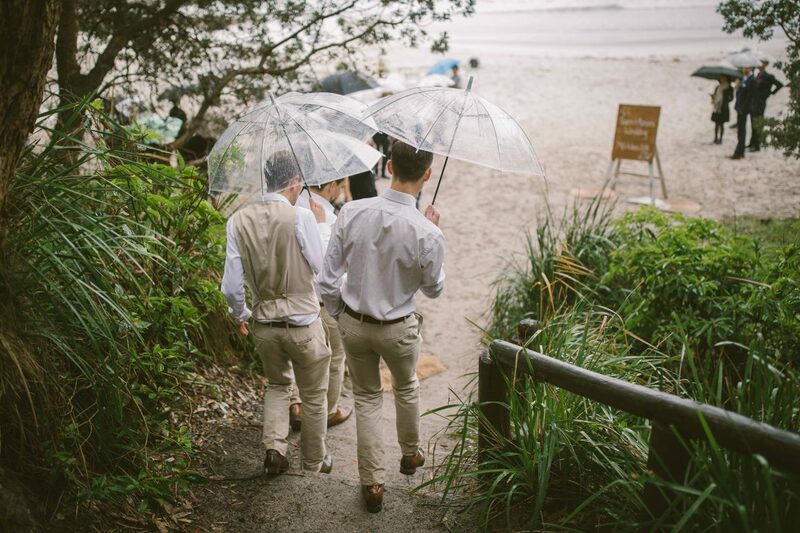 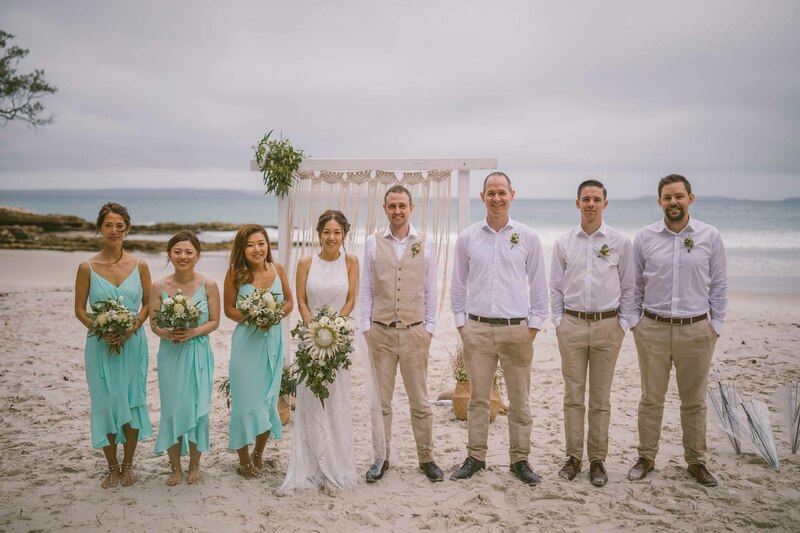 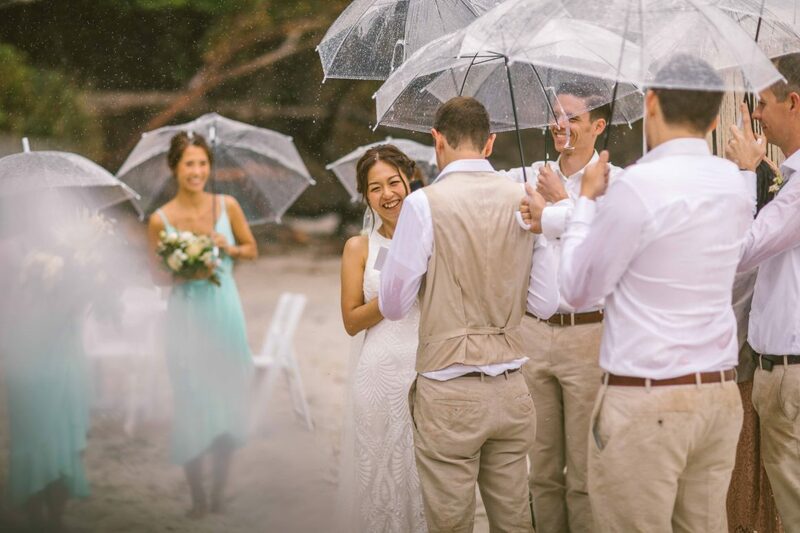 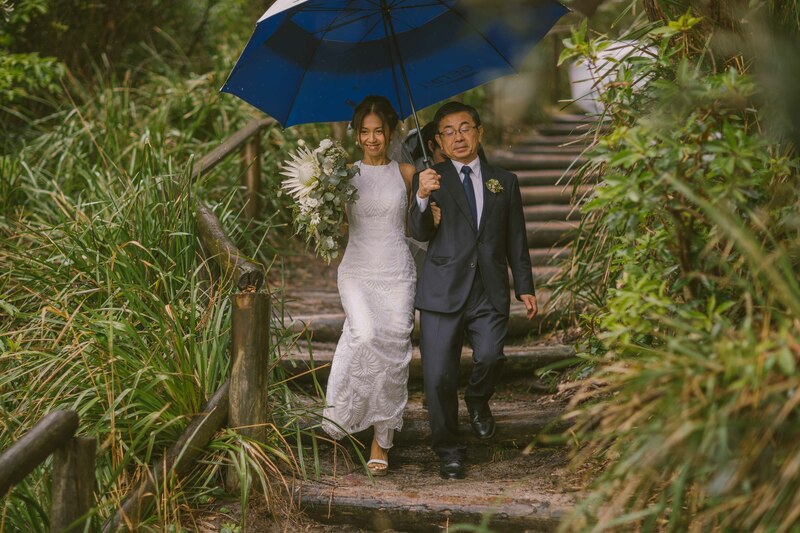 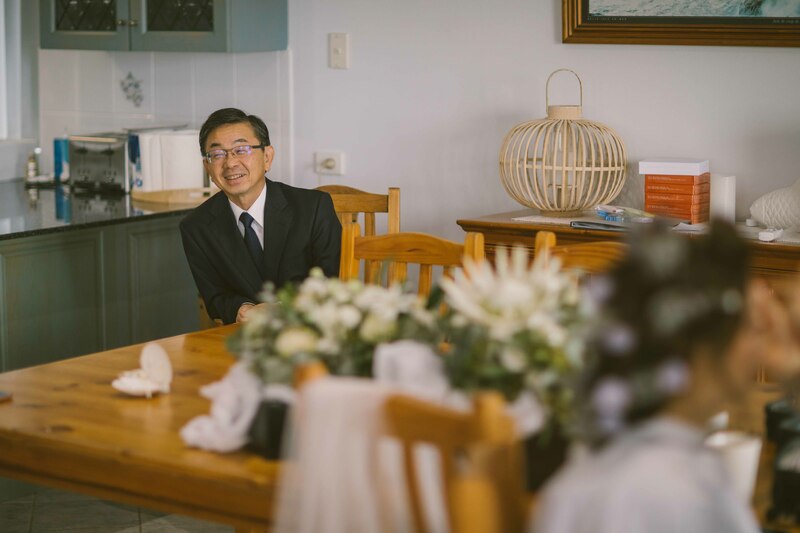 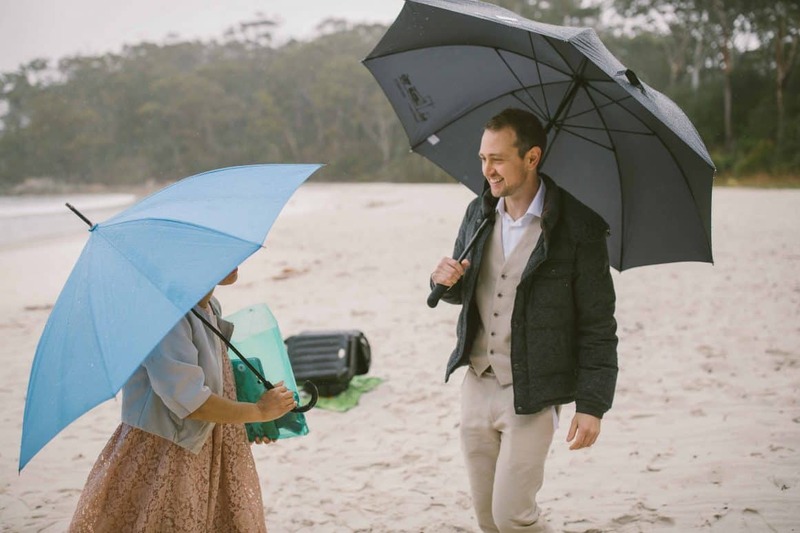 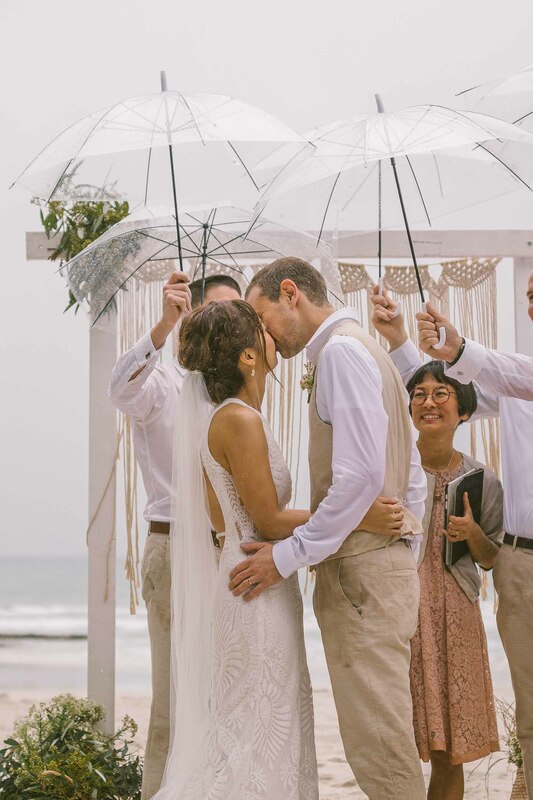 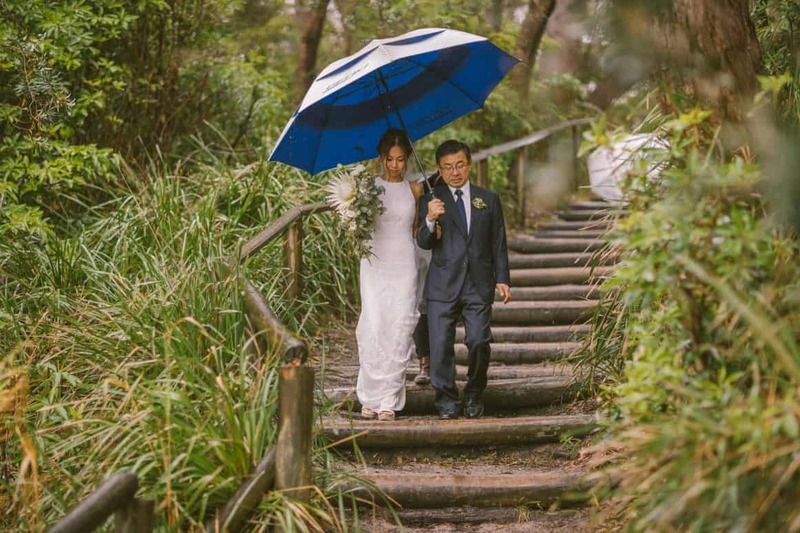 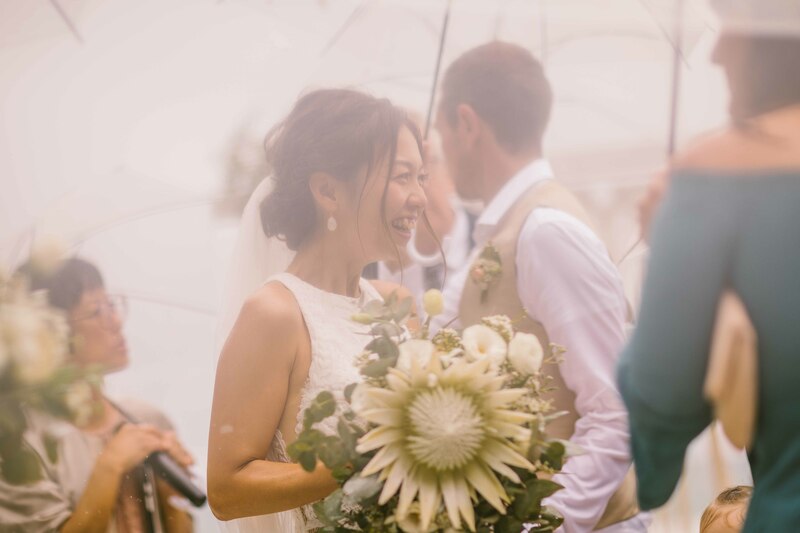 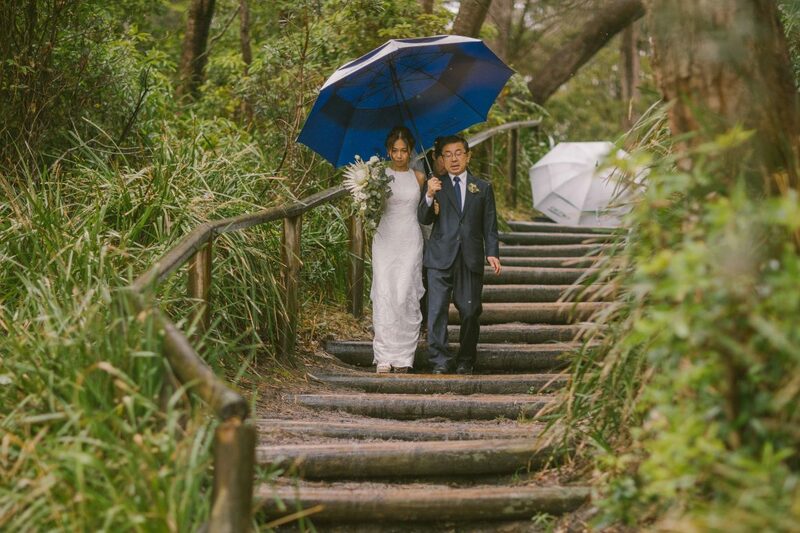 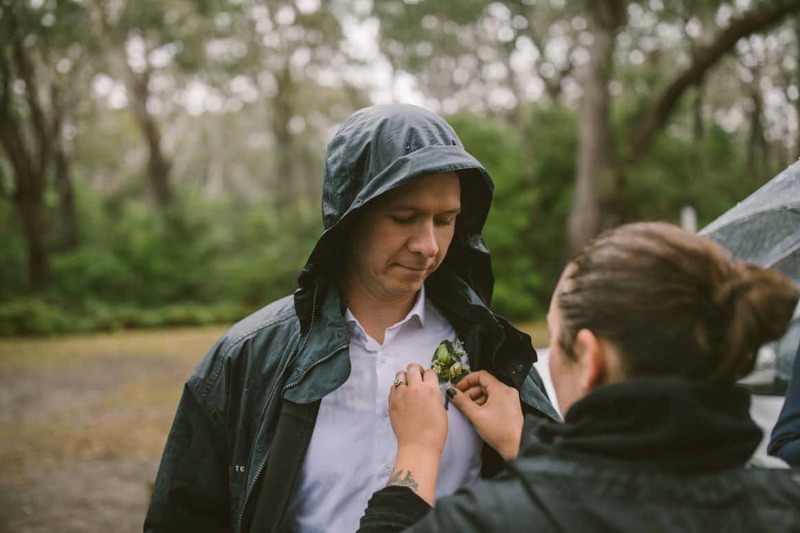 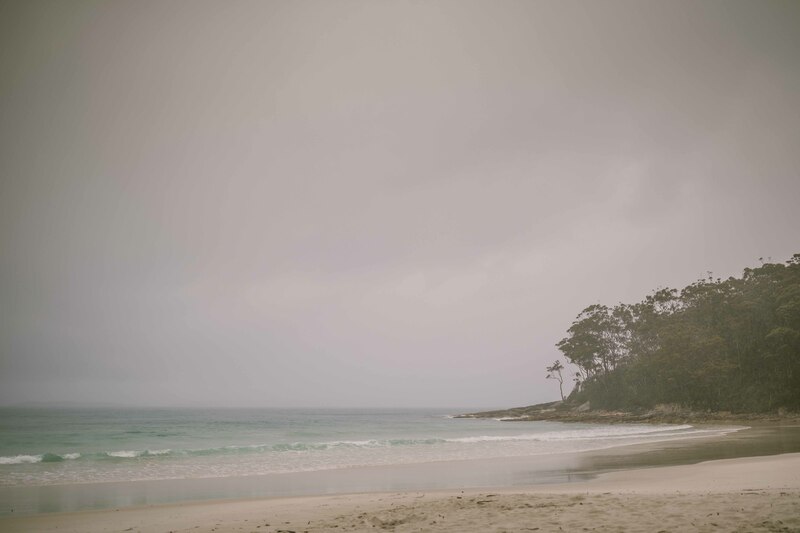 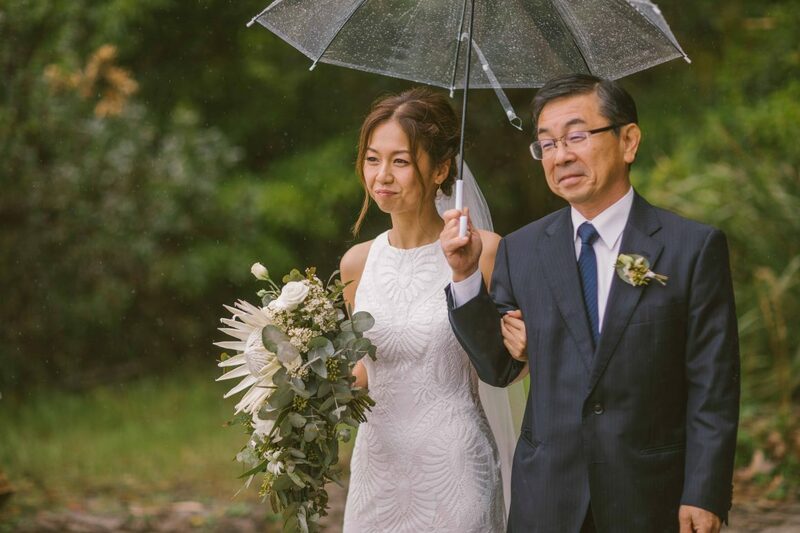 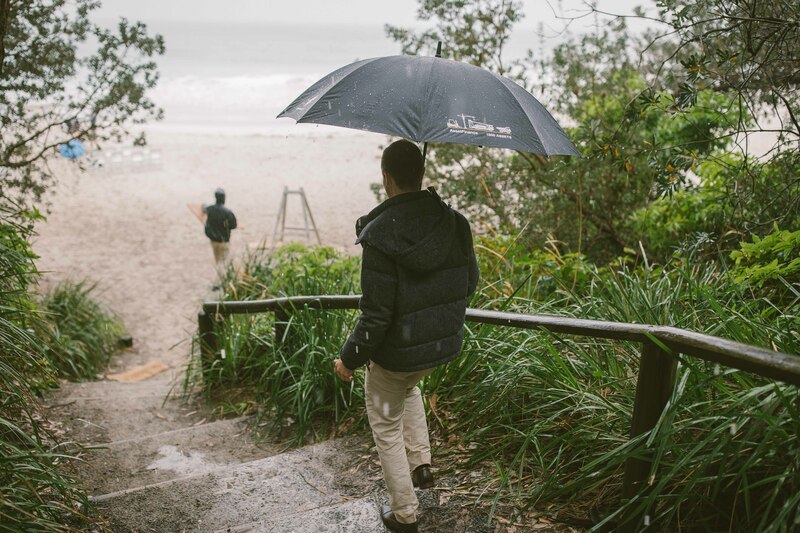 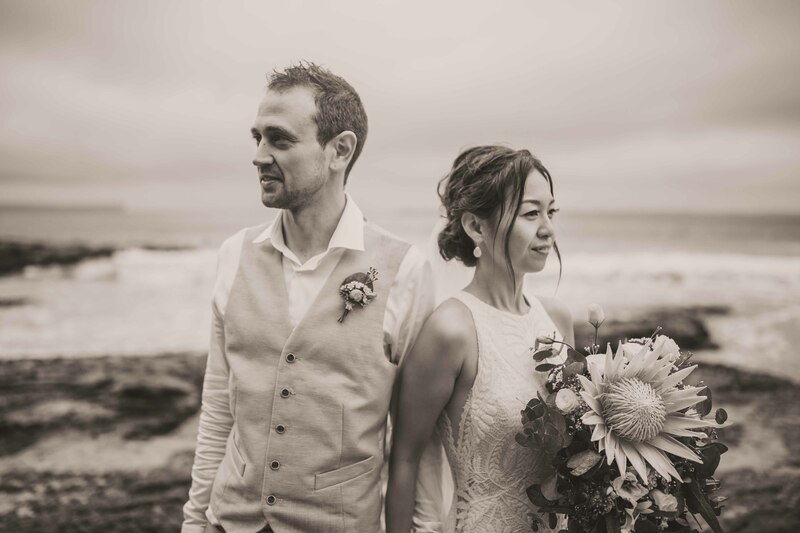 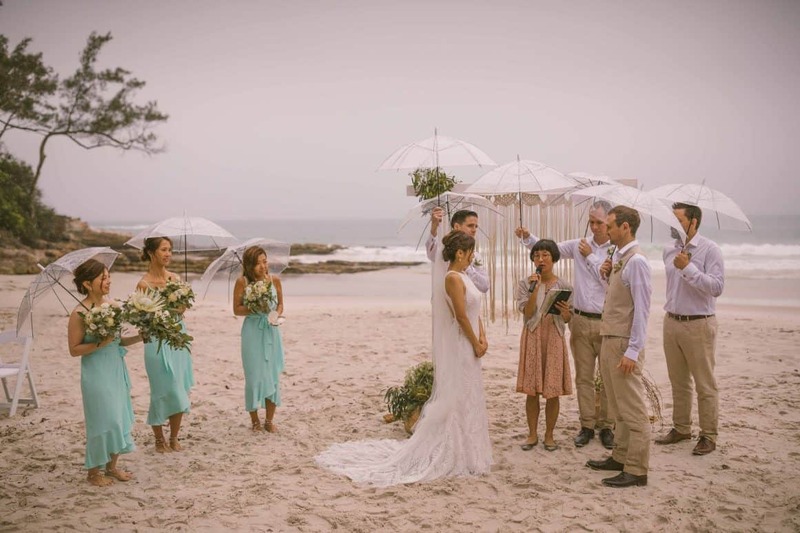 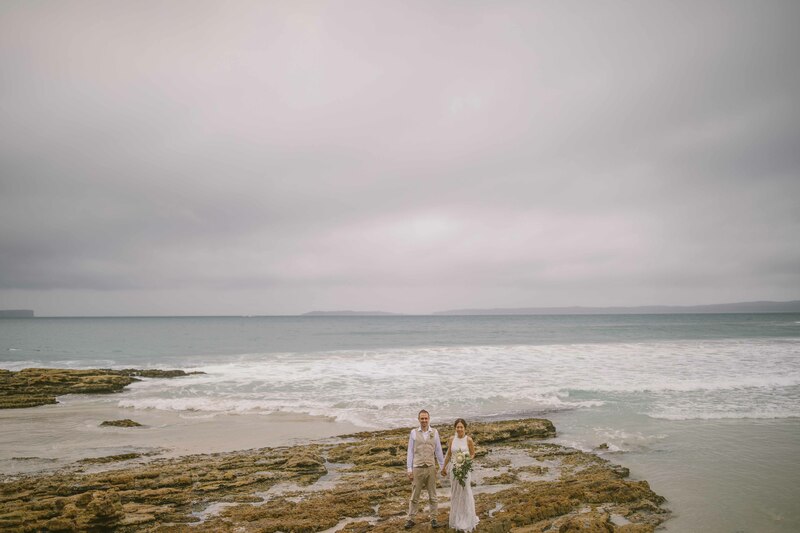 Aaron and Saori’s wedding ceremony on Blenheim Beach, Jervis bay, is one of those weddings that will stay with me forever. 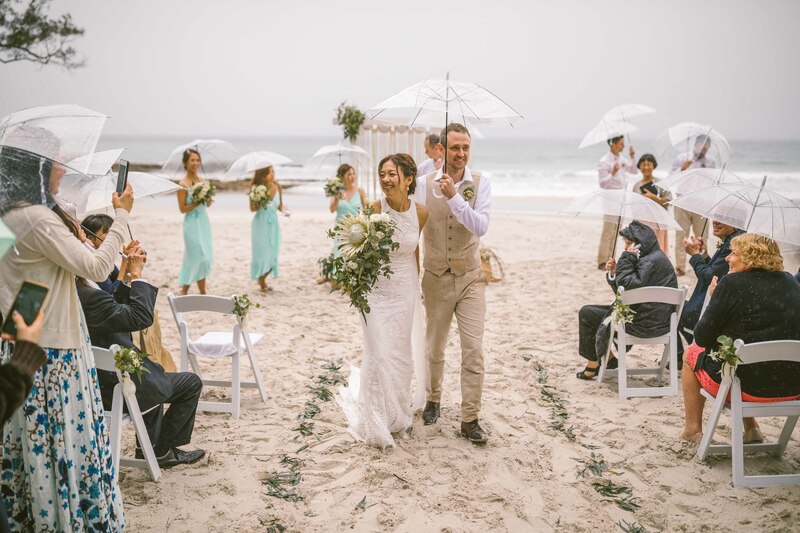 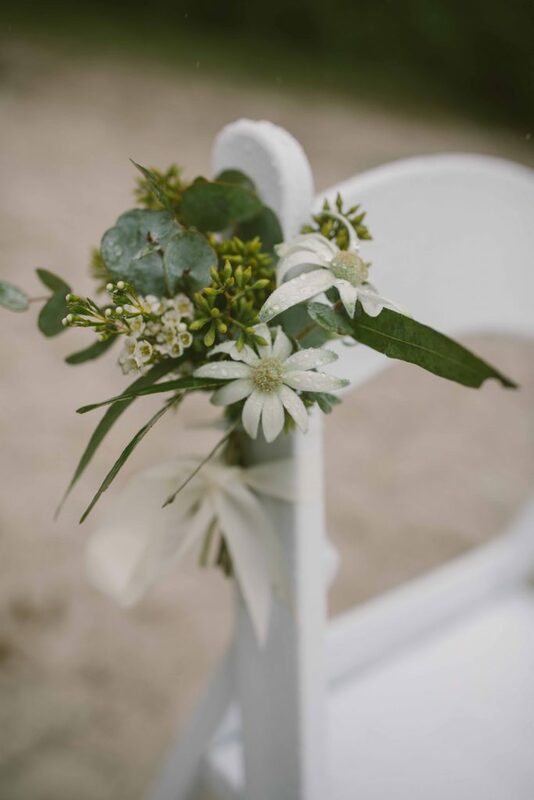 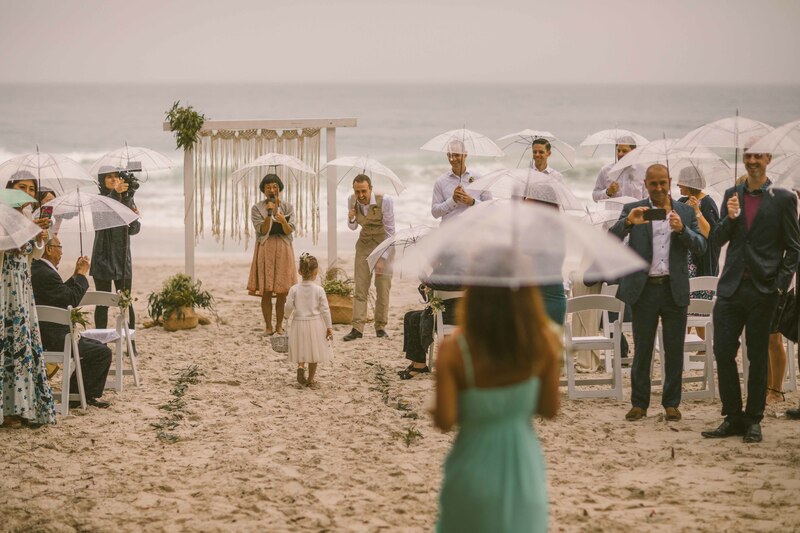 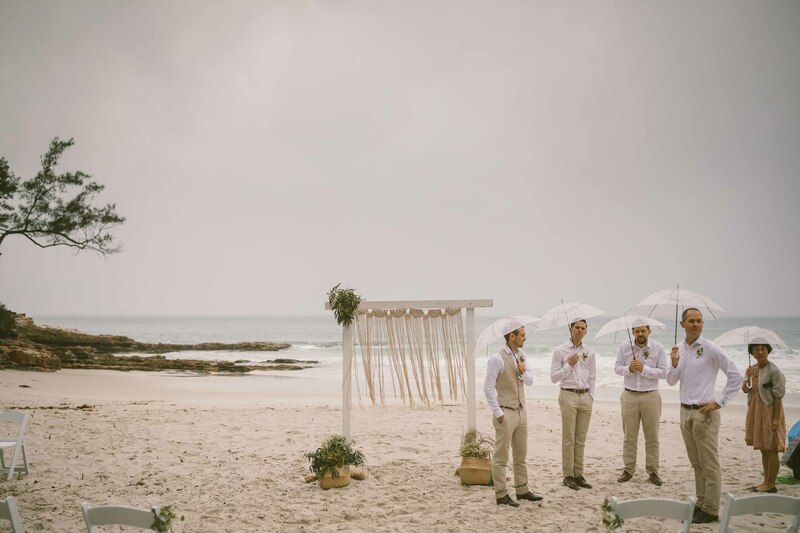 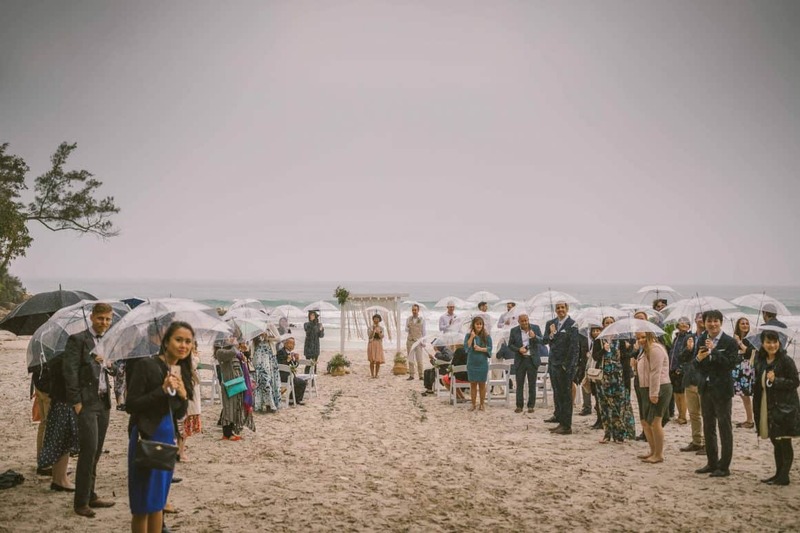 As luck would have it, their dream of a perfect Summer beach wedding was not exactly how they originally planned. 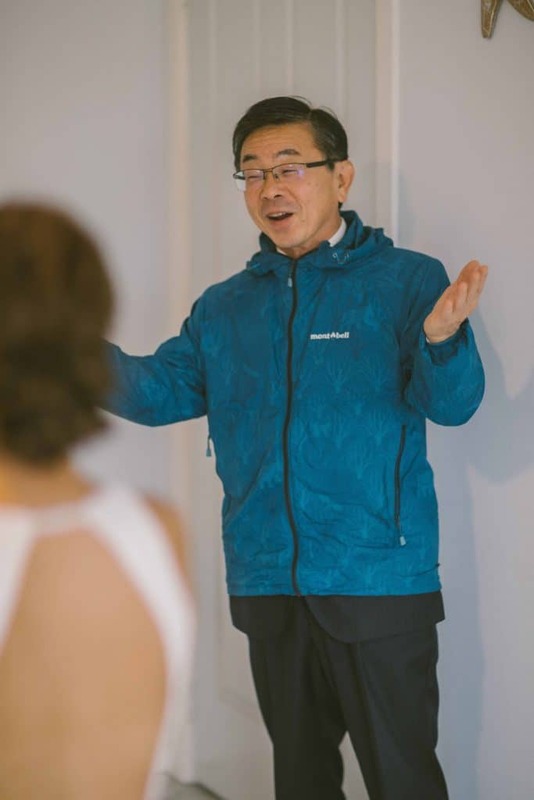 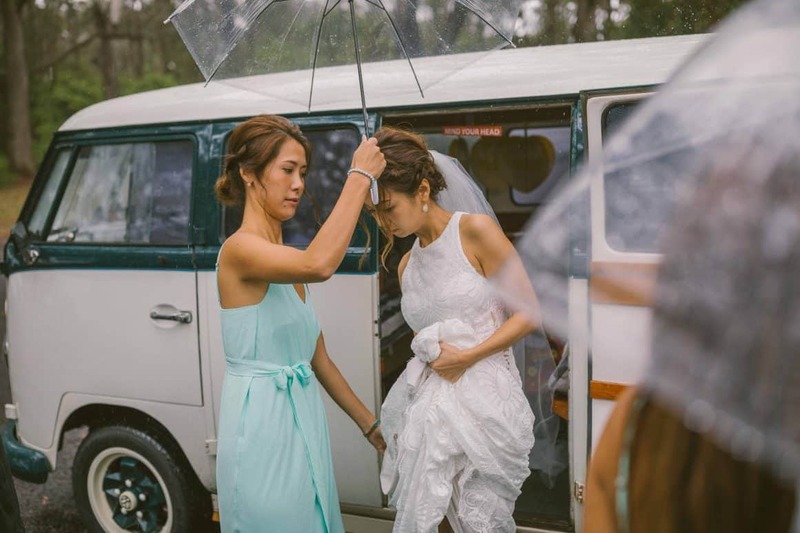 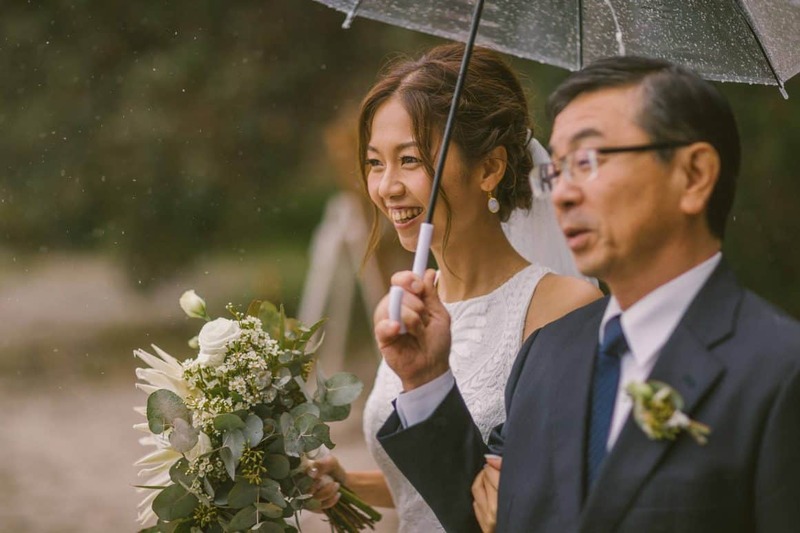 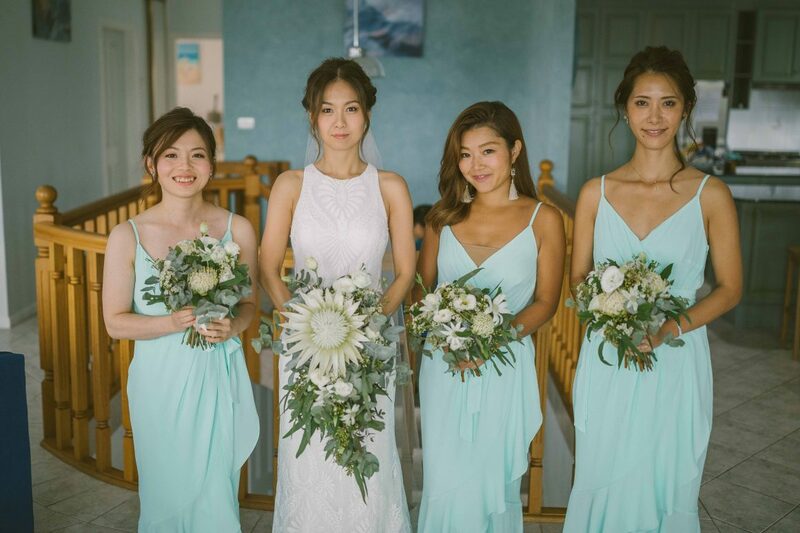 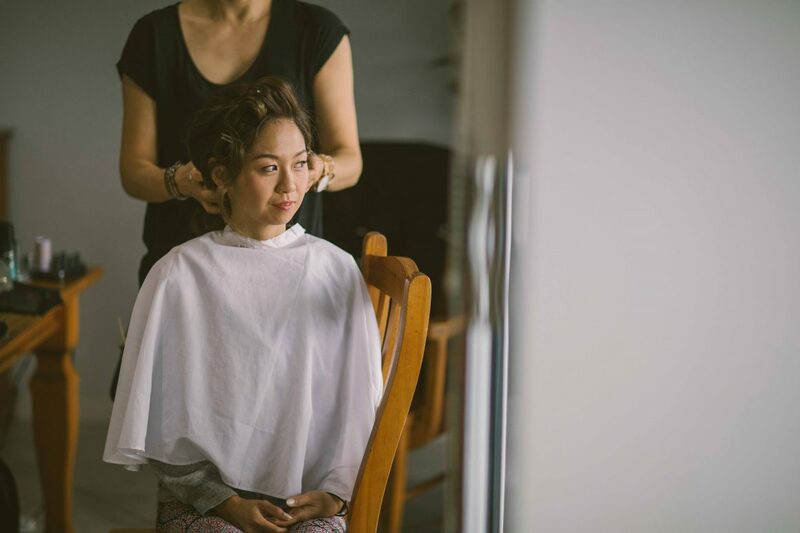 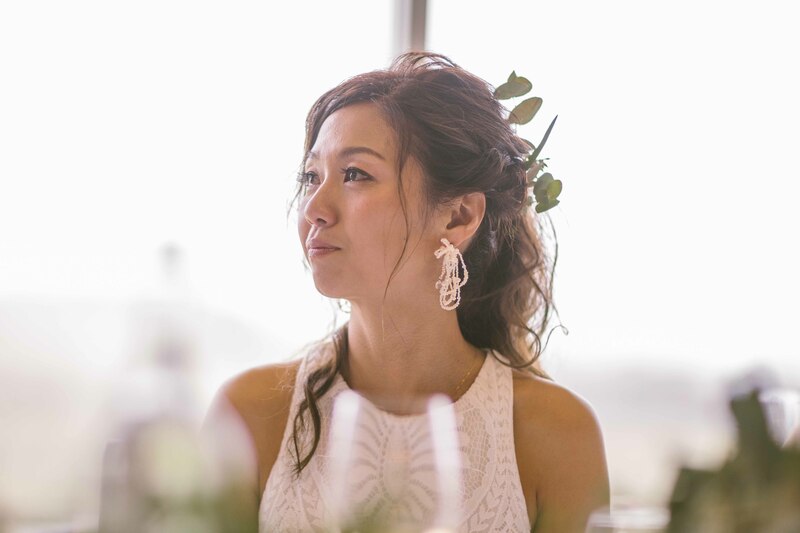 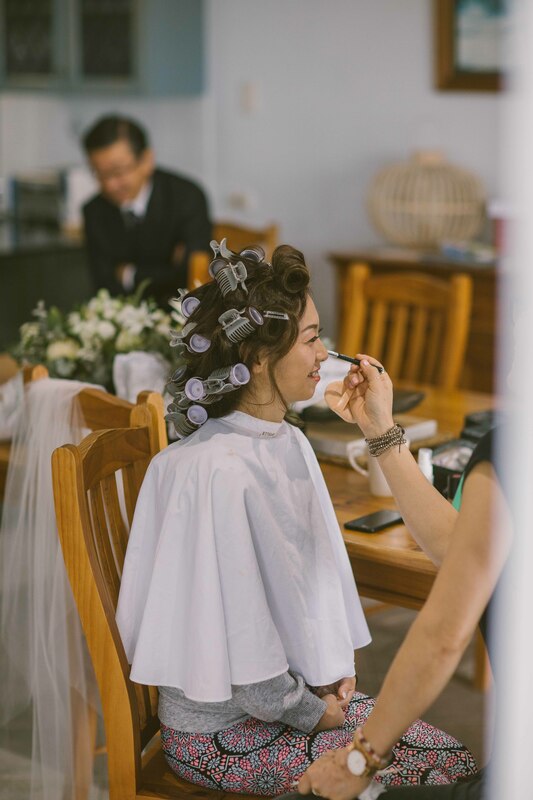 Saori, originally from Japan, had lots of family traveling from overseas to attend the wedding. 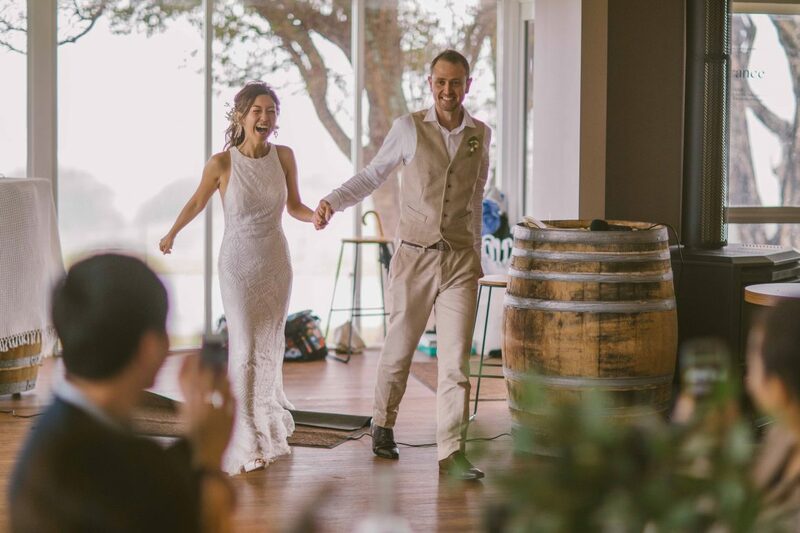 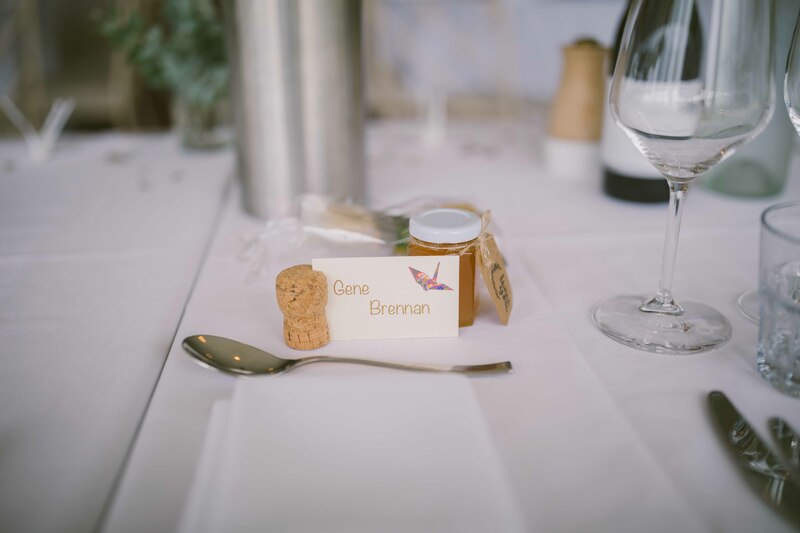 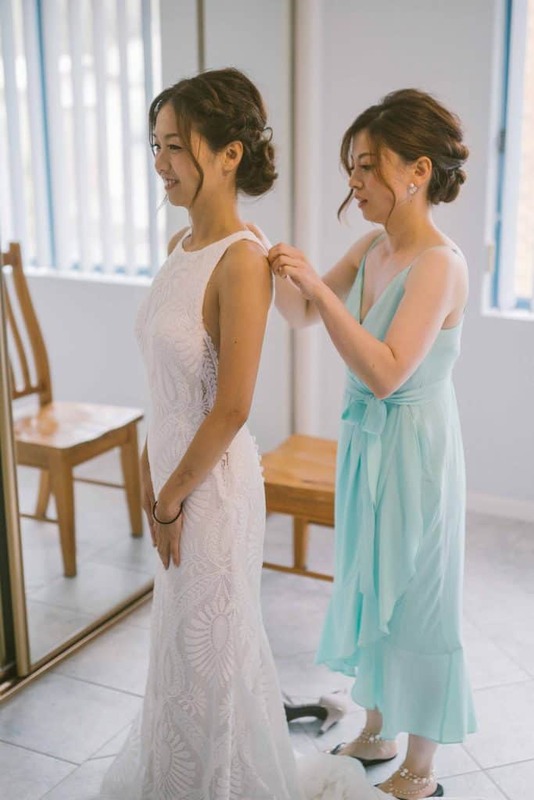 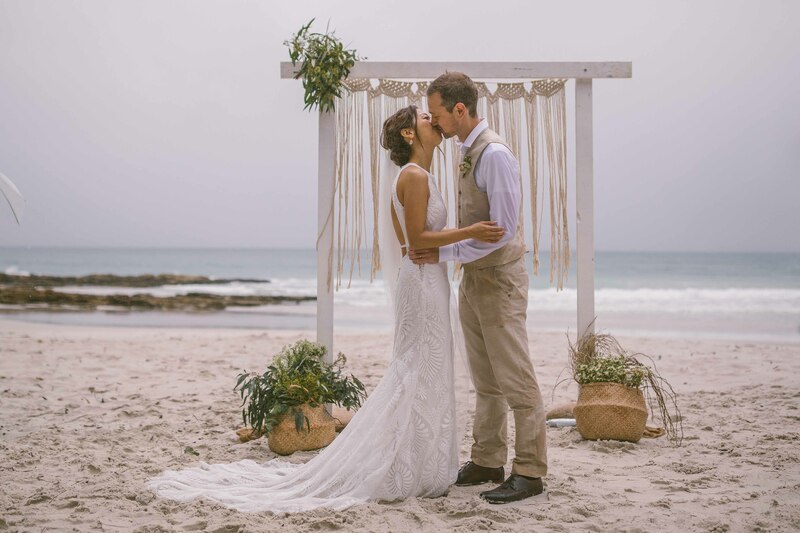 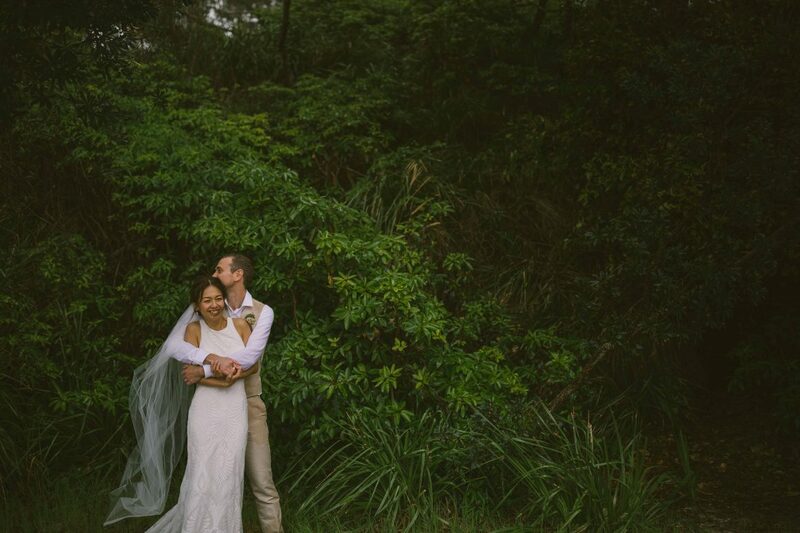 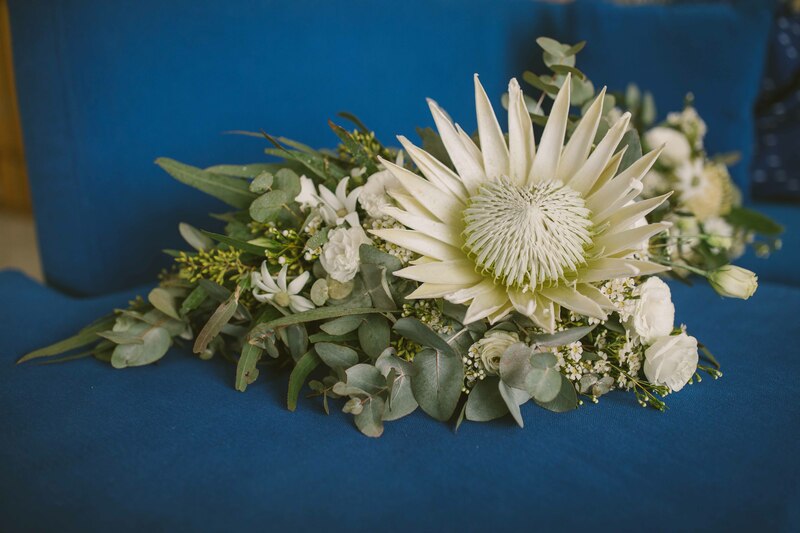 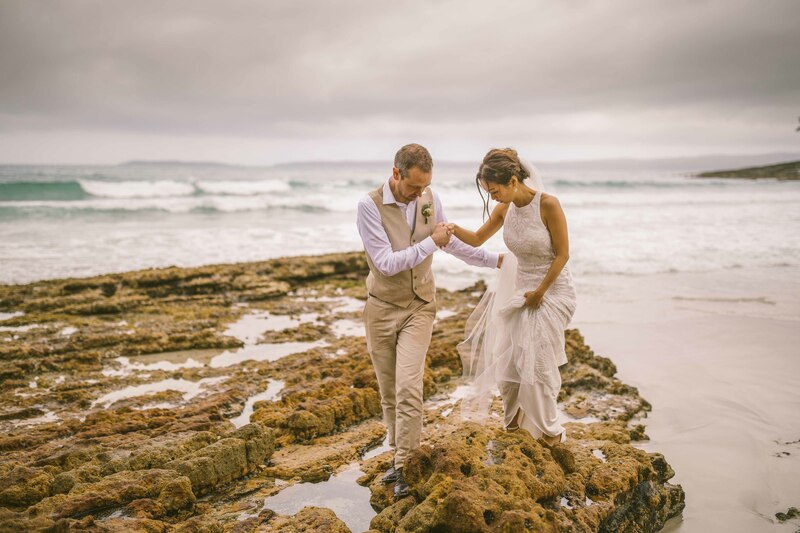 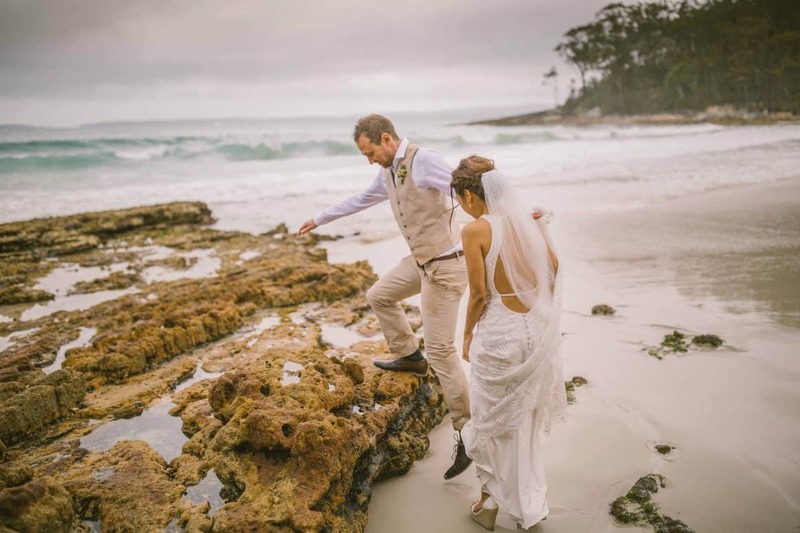 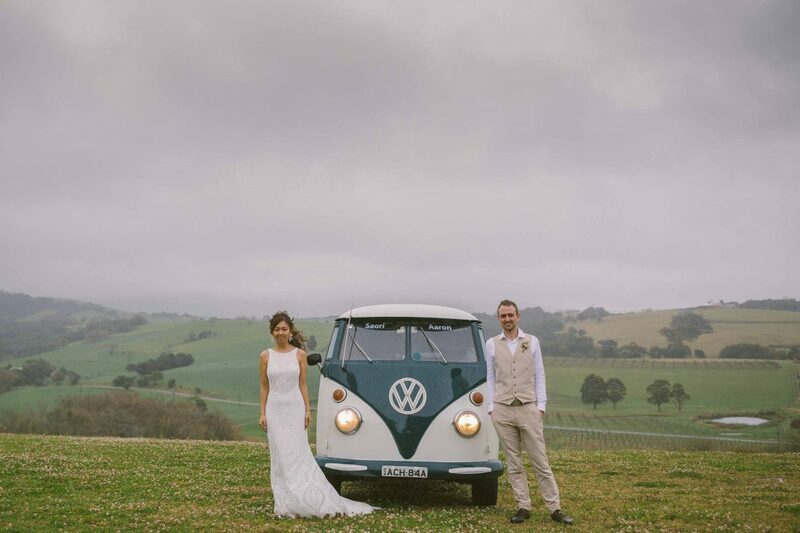 So she wanted to showcase the incredible Australian coast as part of their special day. 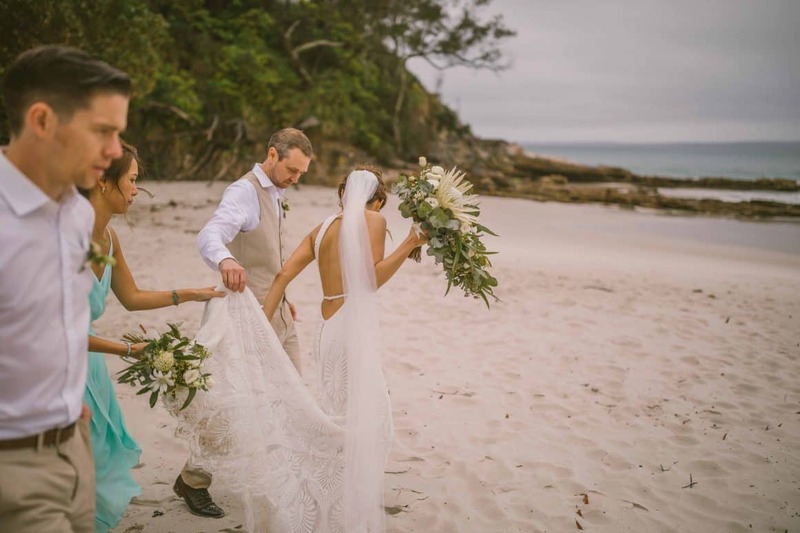 Blenheim Beach is a particularly beautiful spot, with crystal clear blue water and very secluded with only the locals in the know. But mother nature had other plans, and the rain began early that morning. 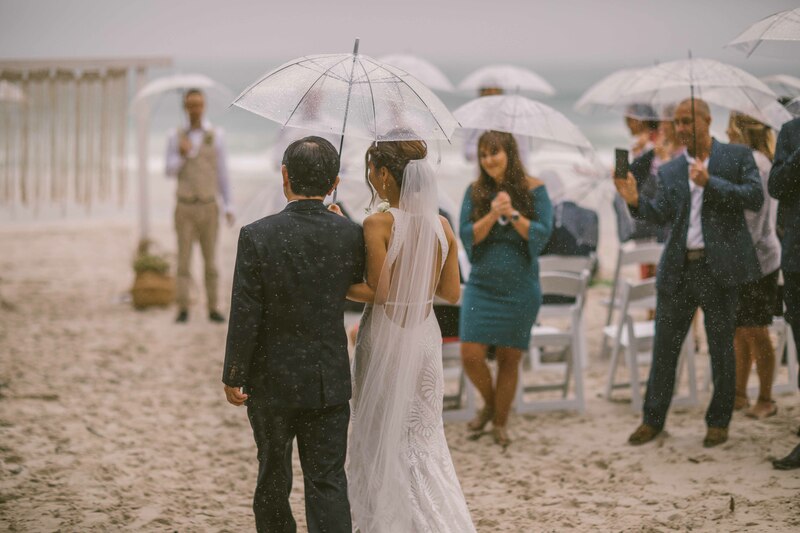 Aaron and I headed straight down to the beach to check out how bad the weather really was, as we knew Saori had her heart set on the beach location. 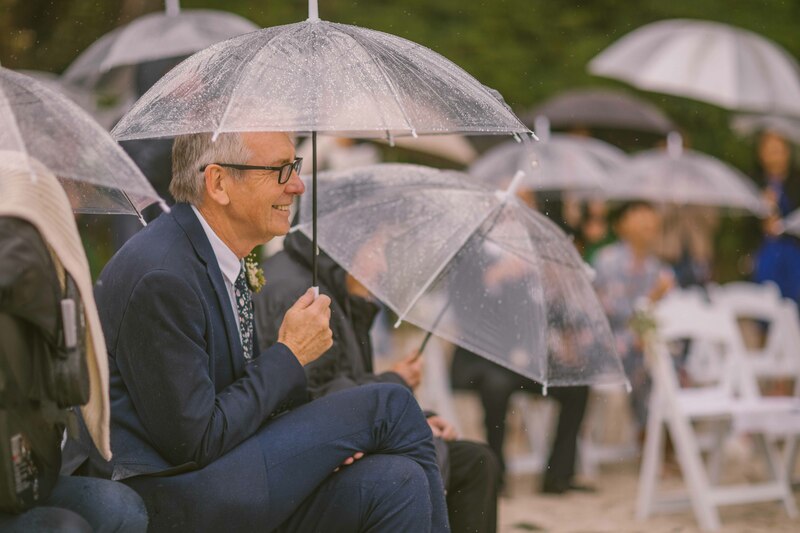 With the wind posing no real threat or danger to the ceremony, Aaron made the call to push forward and get married in the rain. AND OH MY GOSH, IT WAS THE MOST MAGICAL WEDDING I HAVE EVER BEEN TOO. 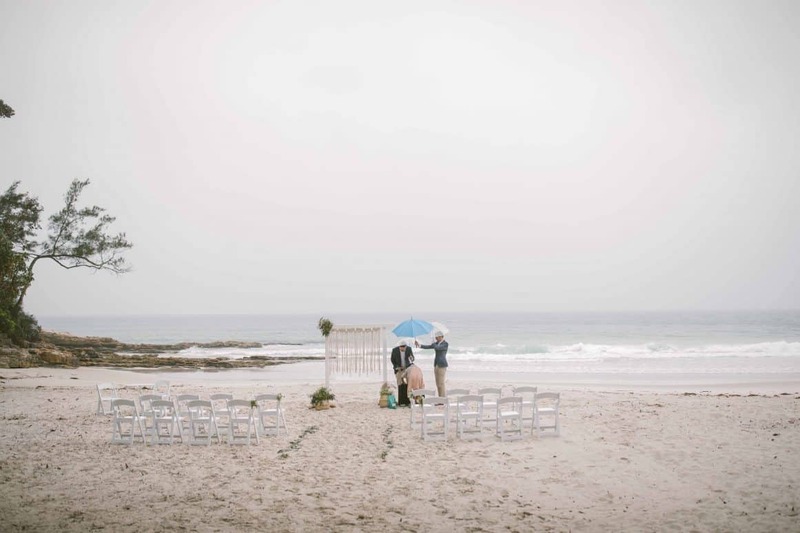 The beach was completely empty expect for their guests. 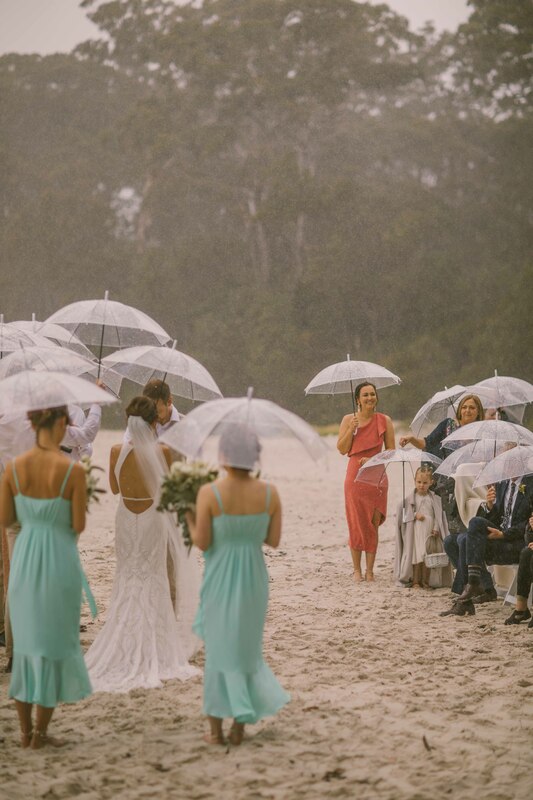 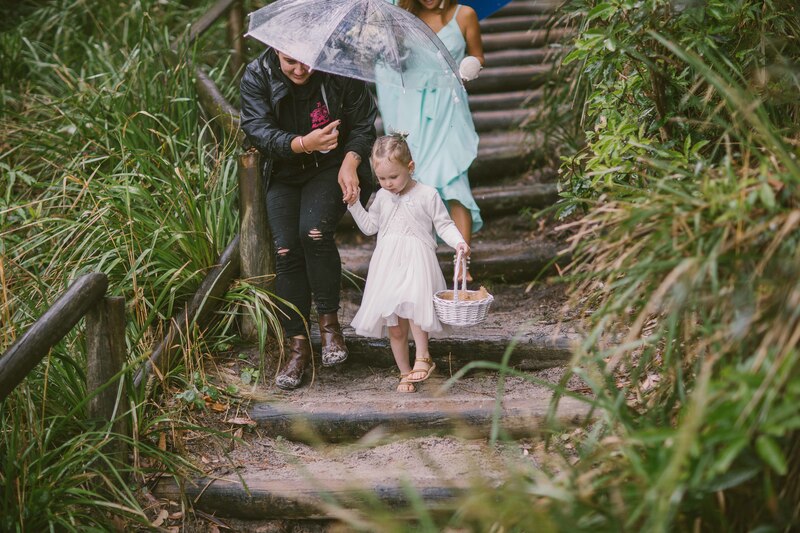 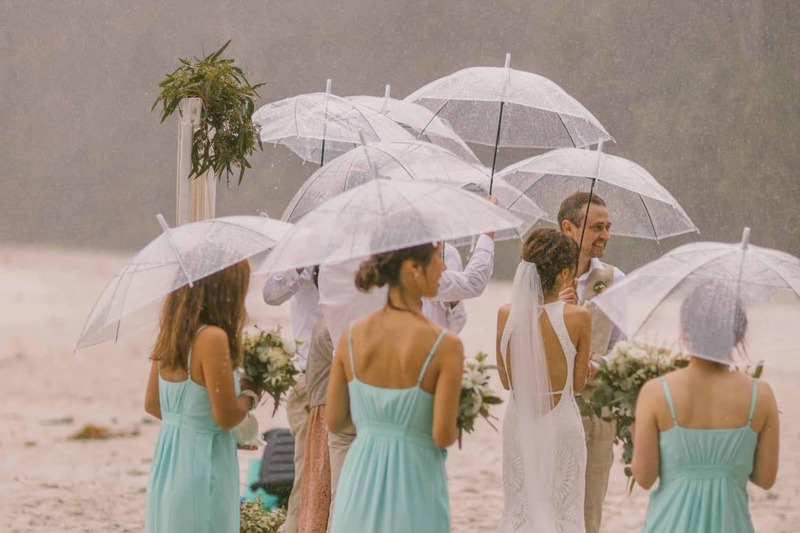 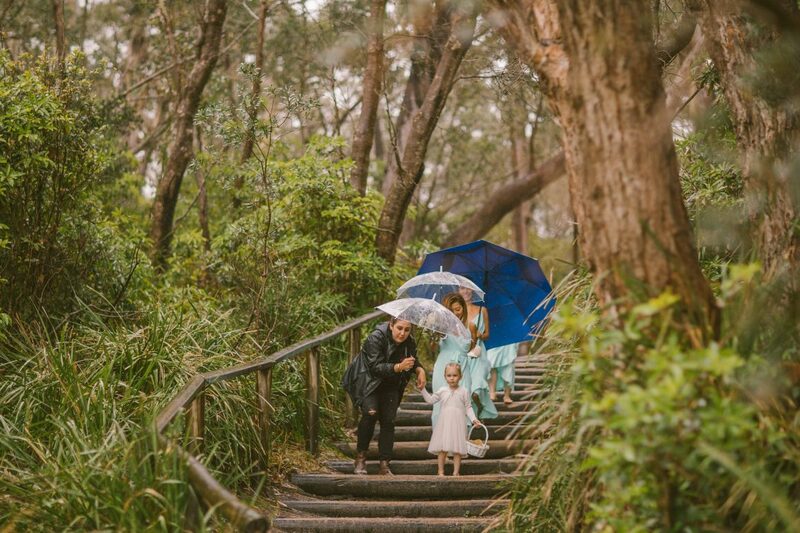 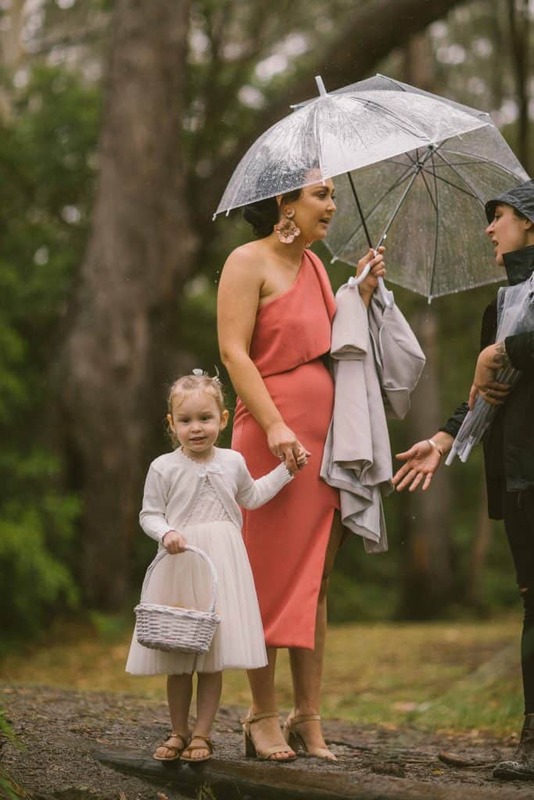 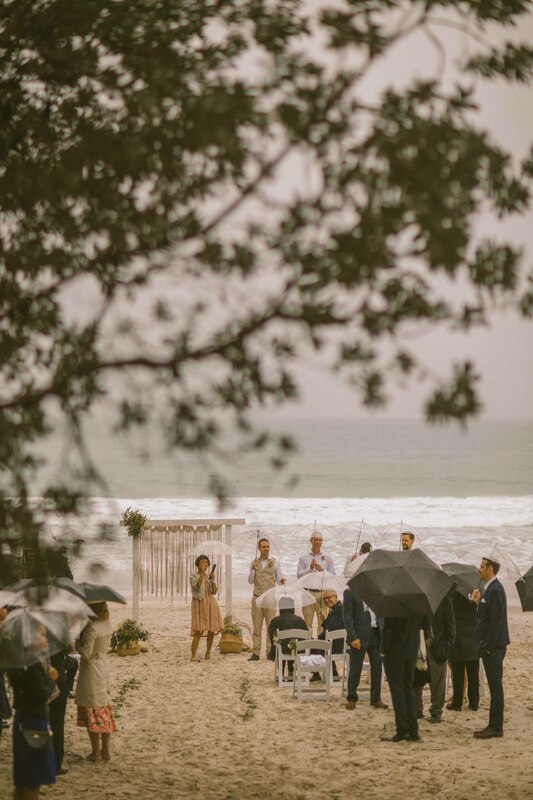 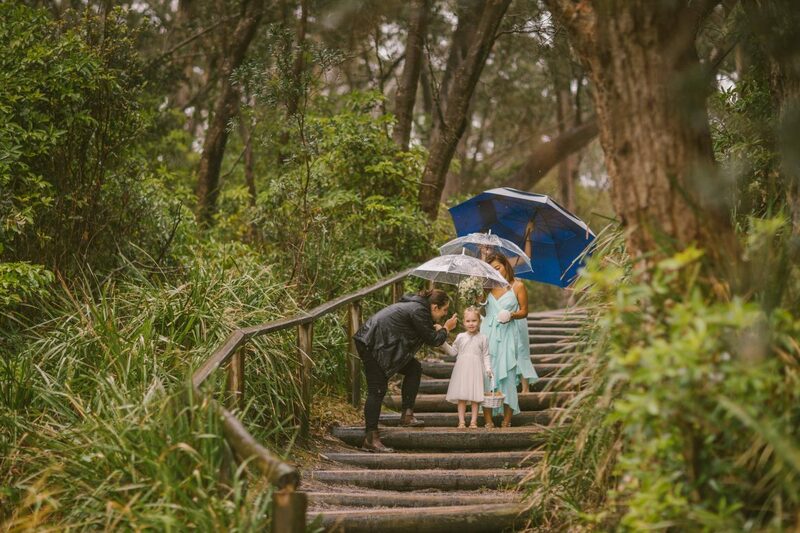 The soft tinkle of rain and bird songs in the forest behind us, along with the misty glow from the rain and ocean made for the most magical ceremony I have ever witnessed. Every single guest was thrilled to be there. 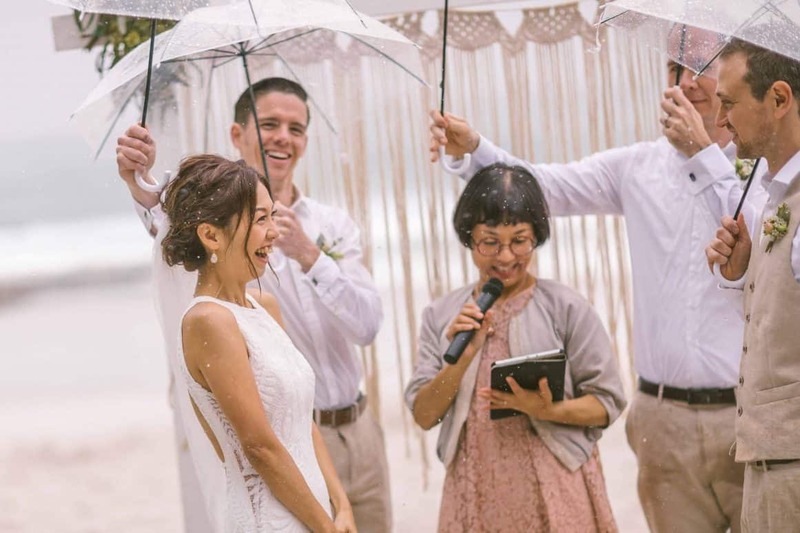 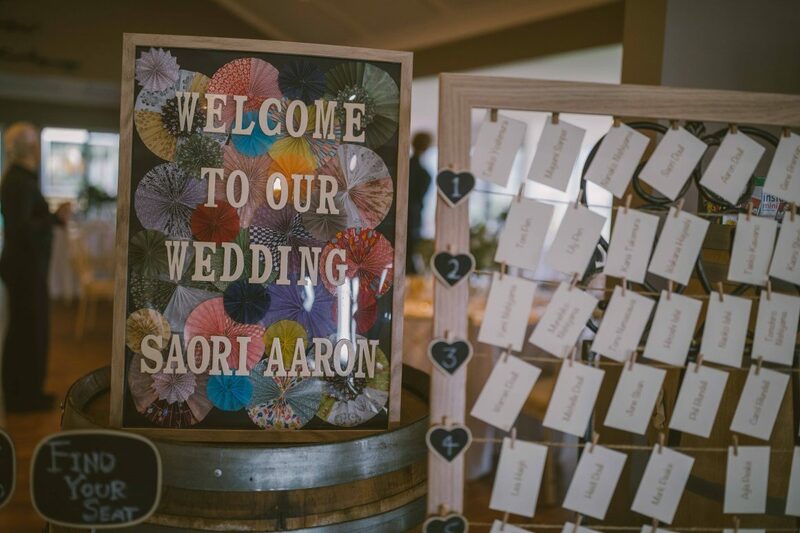 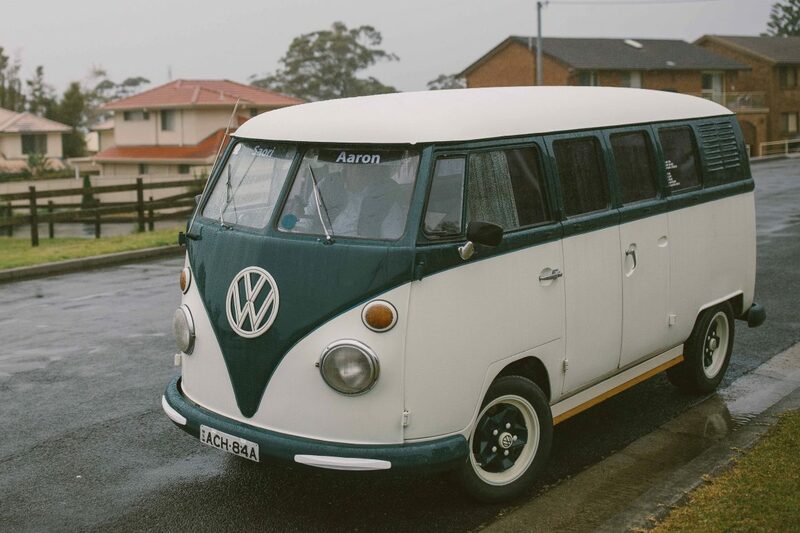 Aaron and Saori’s is a love that will withstand anything. 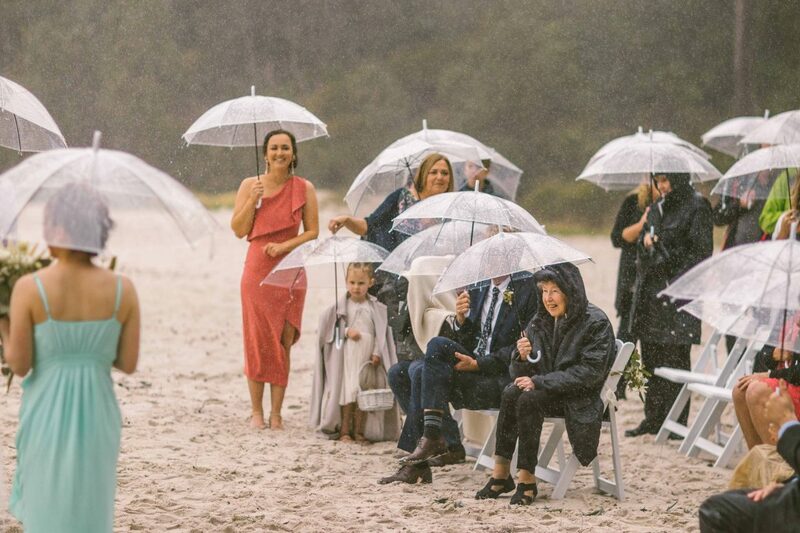 Along with the support of their incredible family and friends, who turned out despite the rain. 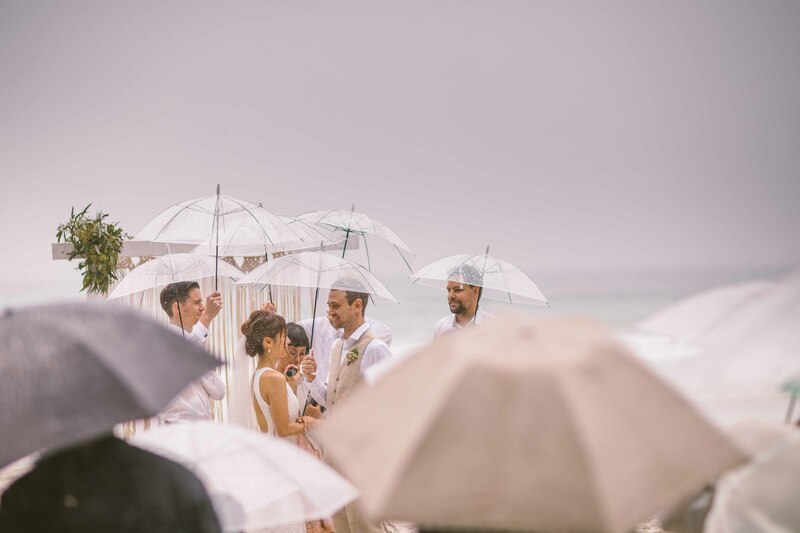 Standing under 55 clear umbrellas that Aaron and Saori purchased in Japan just in case of weather like this. 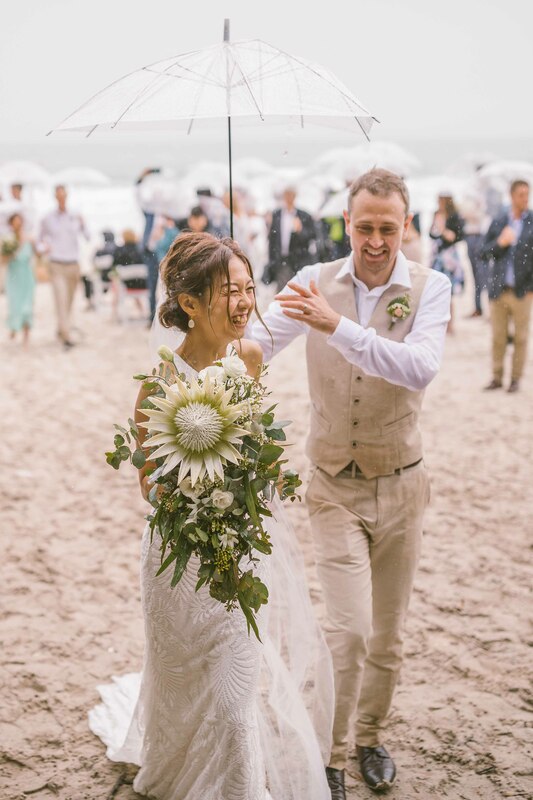 And you couldn’t wipe the smile of Saori’s face. 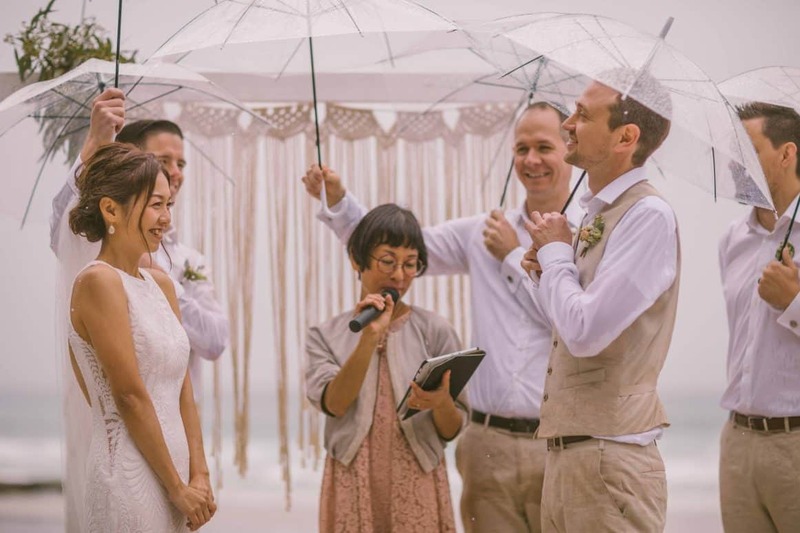 She got her dream wedding. 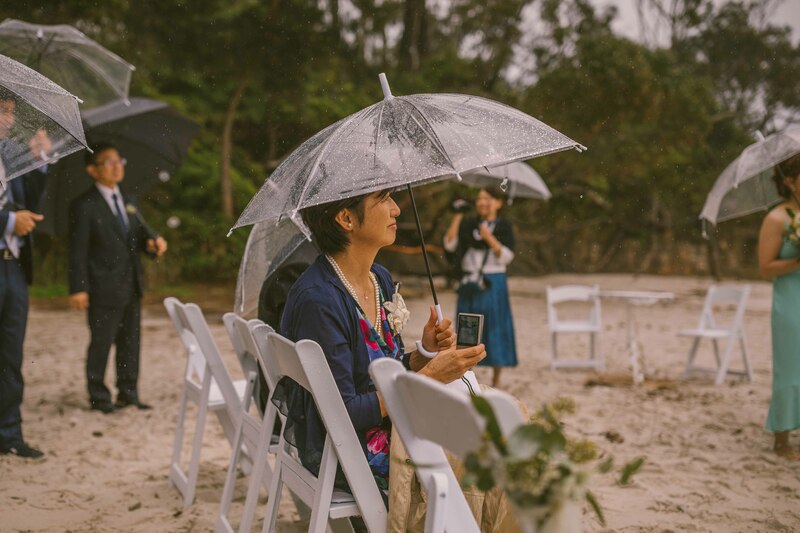 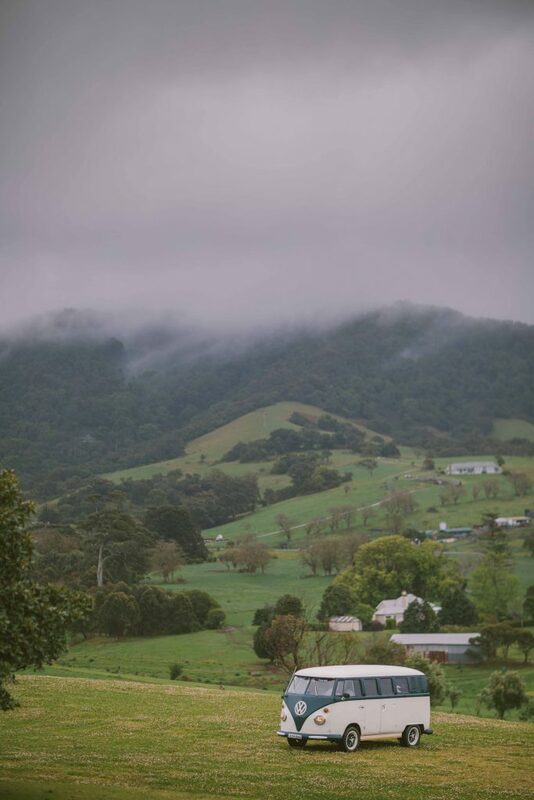 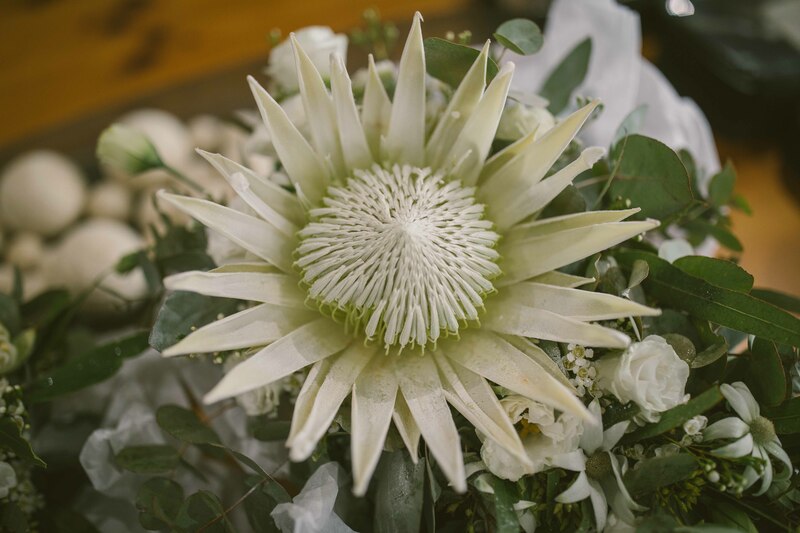 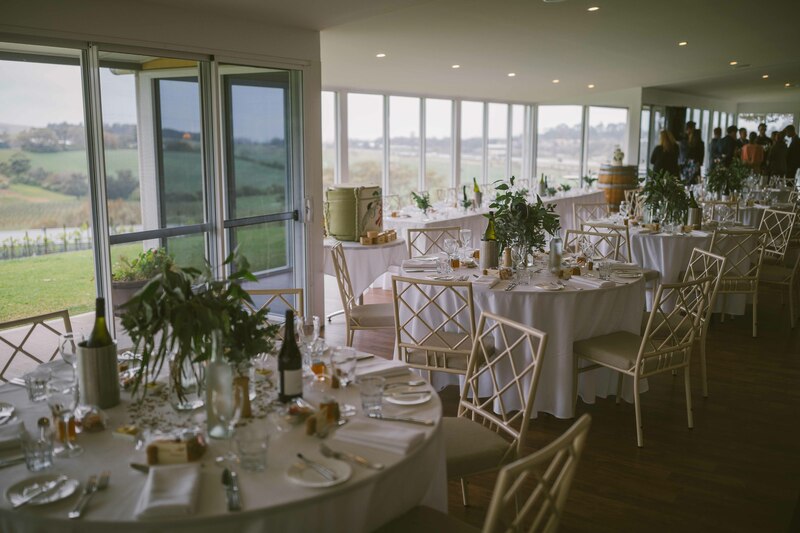 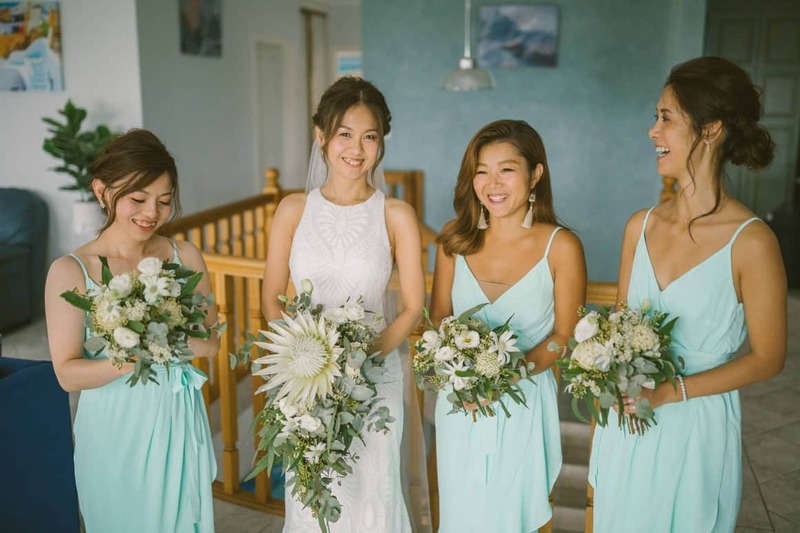 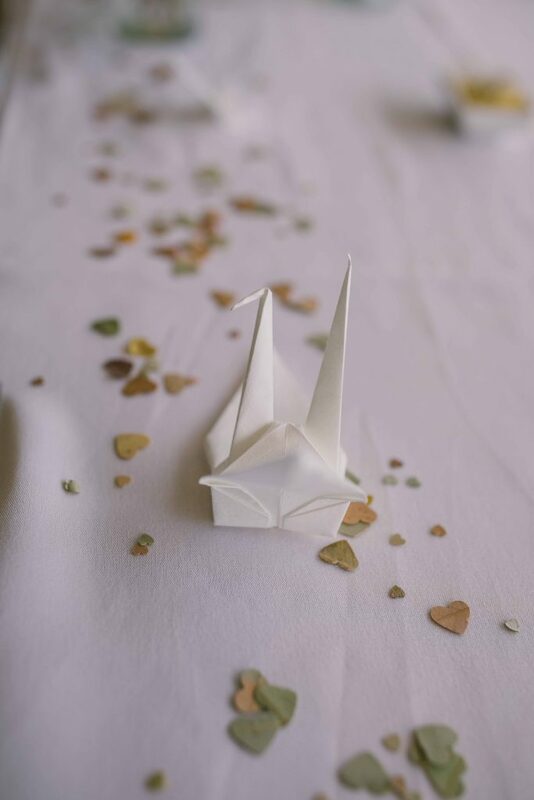 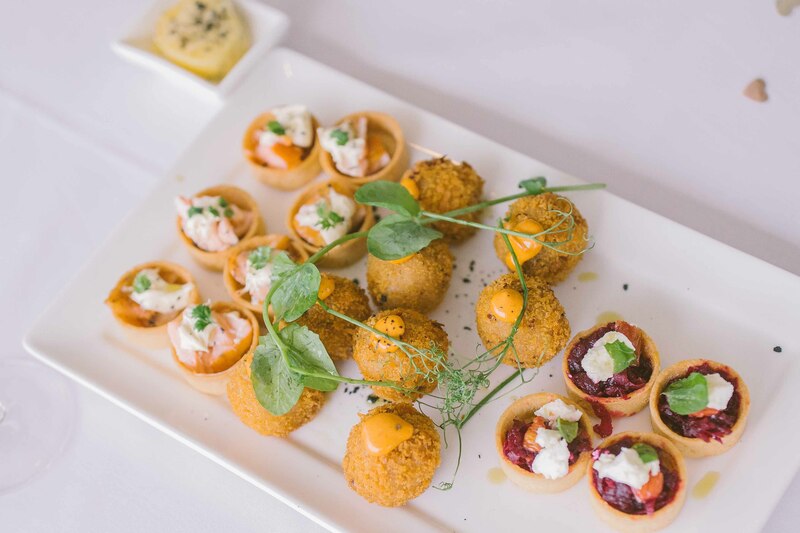 The reception was held at Crooked River Winery, with so many beautiful references to both the couples Australian and Japanese culture.